It’s time for a new scientific advancement to take the hotbed of controversial bioethical issues! The world welcomes its first human-pig embryo hybrid, thanks to scientists at the University of California, Davis. The part-human, part-pig embryos, known as chimeras, are an attempt at providing transplant organs for the many individuals around the world who are in need. In the United States, about 30 people die every day on the organ transplant waiting list. Because of this all-time high demand, researchers started working on making artificial organs, or organs from another species such as pigs. The research team hybridized human induced pluripotent (iPS) stem cells with pig DNA inside a pig embryo. 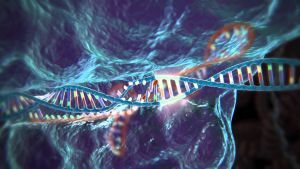 The process used the CRISPR gene editing tool to remove pancreatic morphogenesis genes from the pig’s DNA to allow human stem cells to be inserted and grow into a human pancreas. The human-pig embryo was 28 days old before the team terminated it and studied the tissue that formed. It was found that, at least by the 28-day stage, the human-pig embryo appeared to be on track to mature into a normal pig with a human pancreas. According to Pablo Ross, research lead, their team hopes that the pig embryo will develop normally but the pancreas will be made almost exclusively out of human cells and could be compatible with a patient for transplantation. It means that if found successful, pigs could be used as an incubator to grow human organs with little to no adverse side effects. The pigs could lead normal lives, despite sheltering human organs. While this research could have monumental effects for patients needing organ transplants, people still question if the practice is ethical or not. In fact, the US National Institutes of Health refuses to fund such experiments because of all of these unanswered ethical concerns. There are too many contradicting arguments on this issue, but Kazuo Ishiguro’s book, Never Let Me Go, might help you decide.